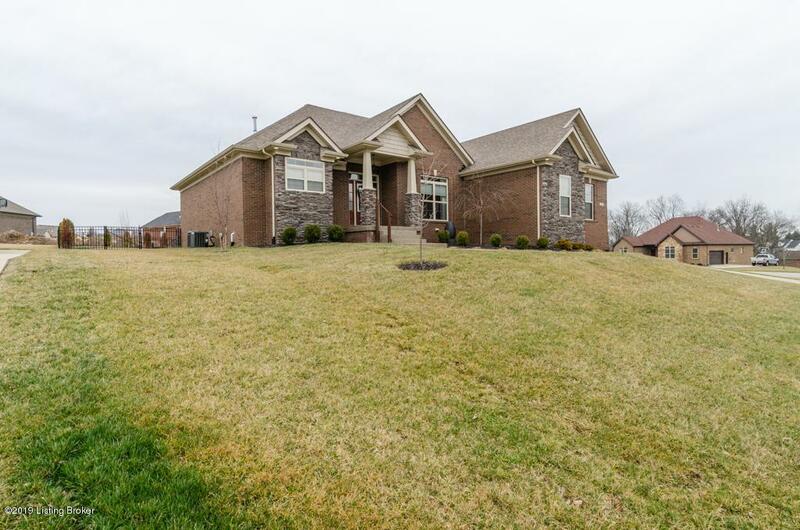 Come see this STUNNING all brick ranch located in the desirable subdivision of ''Old Mill Village''. 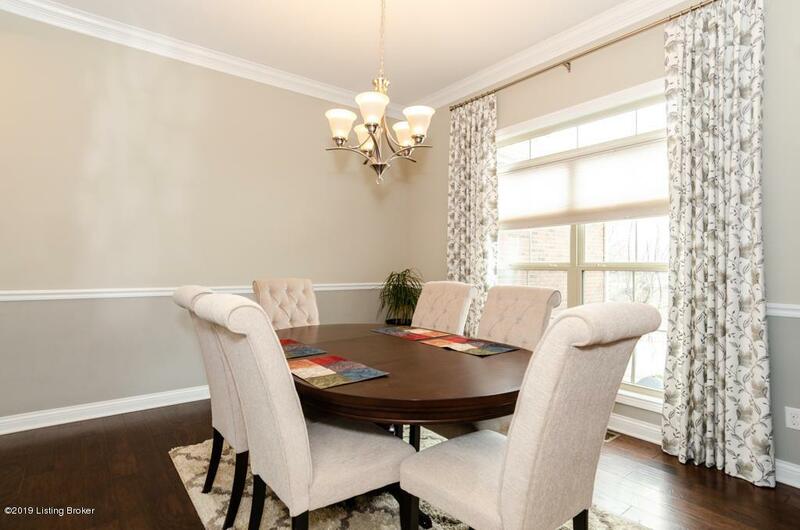 This CUSTOM BUILT 3 bedroom, 3 full bath, features tons of ugrades. There is a ''POSSIBLE 4TH BEDROOM/OFFICE IN THE BSMT. Enter into the foyer with soaring 10 ft ceilings, these are also in the Great Room & Formal Dining Room, which also has crown molding & chair railing.All the trim thruout the house is upgraded.. You will love the Engineered Handscraped Hardwood Floors in the Foyer, Formal Dining Room, Great Room, Kitchen & Hallway. 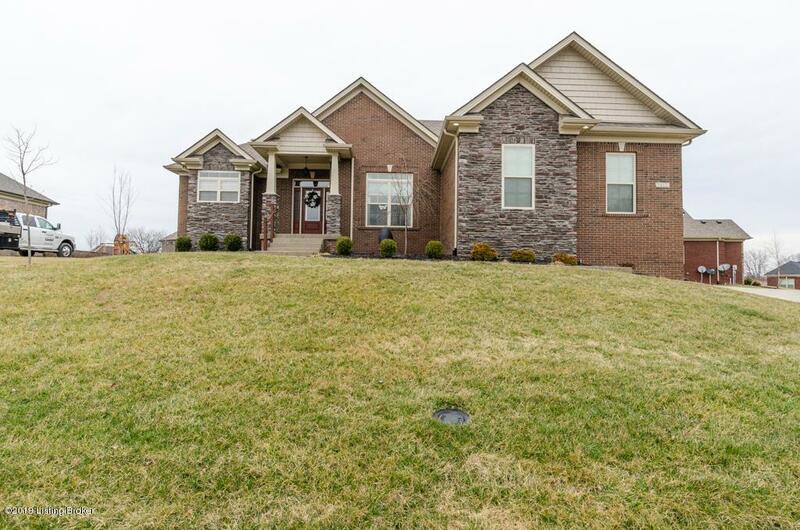 Enjoy your cold evening's in front of the GAS FP in the Great Room.Lot's of naural light & Transom windows in Great Room, Dining Room & Master Bath. The kitchen features a large island with ''Honed Granite'', lot's of White Shaker Style Cabinets w/ new Marble Subway Tile Backsplash. The Stainless Stove, Microwave & built in dishwasher remain, but, the refrigerator is negotiable. The first floor laundry walk's out into the 2 car side entry garage.. BEAUTIFUL MASTER BEDROOM W/ CATHEDERAL TREY CEILINGS. MASTER BATH FEATURES A SOAKING TUB, STAND UP SHOWER & HIS/HER SINKS. NICE SIZE WALK IN CLOSET AS WELL. This ranch is a SPLIT FLOOR PLAN, 2 bedrooms on first floor are separated by the bathroom. Seller has CUSTOM LEVOLOR CORDLESS BLINDS THRU OUT THE HOME. 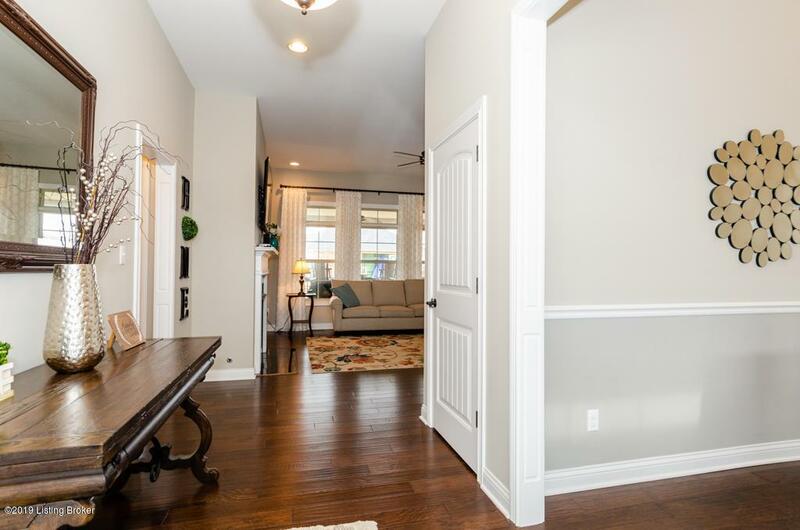 You will LOVE THE BEAUTIFULLY FINISHED BASEMENT!! AWESOME BUILT IN BAR W/ BUTCHER BLOCK TOP & GREY CABINETS!! There is plumbing under the cabinet if a wet sink would want to be added.. THE ELECTRIC RECESSED FIREPLACE IS "SO CLASSY" Lot's of room for a pool table, etc. The 3rd bath has a tiled standup shower & tiled floor. There is a Possible 4th bedroom/office in the basement. The exterior door w/ stairs lead to the backyard. Black Aluminum Fully Fenced in backyard. Deck is covered & the backyard features a patio w/ firepit. SELLER WILL MARK THE LARGE SIDE YARD TO THE RIGHT OF THE HOME WITH ORANGE MARKERS SHOWING PROPERTY LINES...HURRY THIS HOME WON'T LAST!! CALL FOR YOUR PRIVATE SHOWING TODAY..